Pop Art interiors, psychic drifting and the myths of mass tourism seen from the Rimini Skyscraper, one of the symbolic buildings of the city. 100 metres tall, inaugurated in 1959 as an icon of a small town that was being transformed into a beachfront metropolis, the building, considered by some an eco-monster and by others as a technological paradise, today is a vertical neighbourhood, inhabited by people from about 20 different countries. 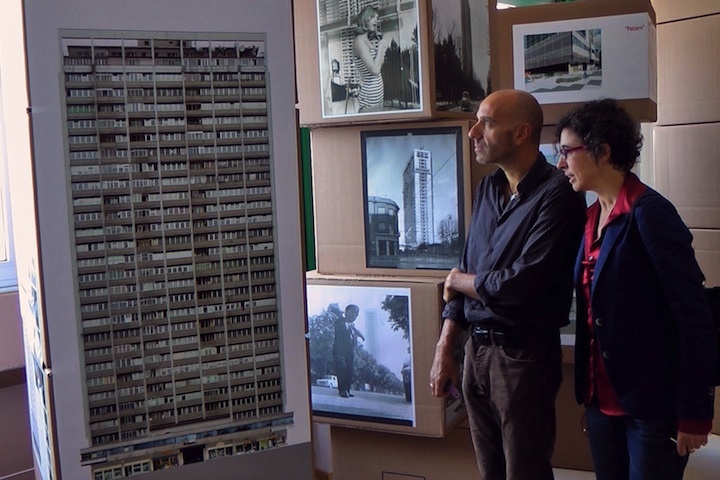 Its humanity and landscape are examined in the first person by one of its residents, in an open dialogue with the skyscraper itself (whose voice is performed by Ermanno Cavazzoni, the last screenwriter of Federico Fellini). An autobiographical reflection that raises questions about the very forms of contemporary documentary cinema.